In view of China‘s expansionary economic policy and the increasing importance of global trade relations, the question of human rights is often left far behind. 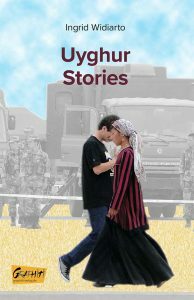 The Uyghurs, in particular, who live in northwestern China, suffer discrimination and oppression and they fear for their culture and identity. The Chinese government justifies its repressive policies with the assertion that it is protecting state security. The stories in this book take a look behind the scenes. They accompany a number of Uyghurs in their daily lives, and despite the sometimes distressing situations described here, they convey a sense of human warmth and great affection for these people, whose fate is barely registered by the world at large.